With Rob Cowan. Five Reasons to Love Vocal Chamber Music; Musical challenge; Artists of the Week: The Jerusalem Quartet; Rob's Essential Choice: Respighi: Belkis, Queen of Sheba. With Rob Cowan and his guest Richard Stilgoe. A selection of music including '5 Reasons to Love... Vocal Chamber Music'. Throughout the week Rob enjoys vocal quartets, sextets, duets and trios by Schubert, Brahms, Schumann and Shostakovich. Take part in our daily musical challenge: listen to the clues and identify the mystery person. 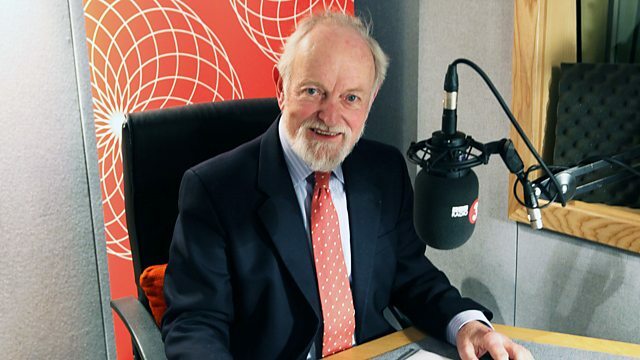 Rob's guest this week is the songwriter, lyricist, and musician Richard Stilgoe. From writing musicals with Andrew Lloyd Webber (Cats, Starlight Express, Phantom of the Opera) appearances on Nationwide and That's Life and working as a double act with Peter Skellern - music has been at the heart of Richard's career. Richard will be sharing his favourite classical music every day at 10am. This week Rob features recordings by the Jerusalem Quartet. Former BBC New Generation Artists, the quartet has been carving out a remarkable reputation in both string quartet and chamber music repertoire. Rob showcases their recordings of Haydn, Mozart, Schumann, Schuann, Brahms and Shostakovich. Performer: Czech Philharmonic. Conductor: Václav Neumann. Performer: Erik Werba. Performer: Günther Weissenborn. Singer: Waldemar Kmentt. Singer: Irmgard Seefried. Singer: Raili Kostia. Singer: Eberhard Wächter. Music Arranger: Alessandro Parisotti. Singer: Teresa Berganza. Performer: Ricardo Requejo. Performer: Michael Copley. Performer: Heinz Holliger. Performer: Pina Carmirelli. Performer: Guy Touvron. Orchestra: I Musici. Singer: Elsie Morison. Orchestra: Royal Philharmonic Orchestra. Conductor: Thomas Beecham. Performer: Gerhard Husch (baritine) Gerald Moore (paino).